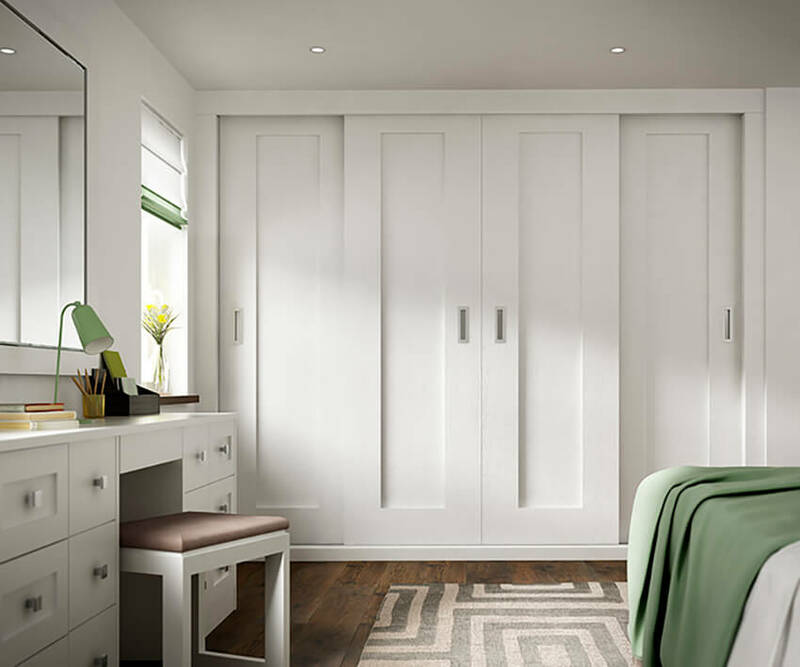 Customise sliding wardrobe door to create your dream bedroom. Visit Bedroom Gallery, UK, now to view our extensive range of sliding wardrobe. Contact us on 0121 350 9555. 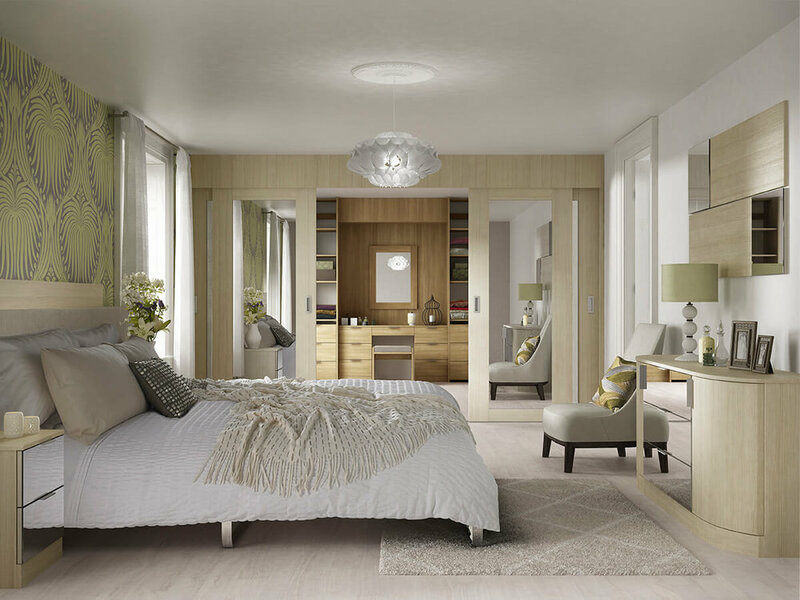 With a range of four sliding doors to choose from the number of combinations are endless, each bringing its own unique floor to ceiling elegance to your bedroom. 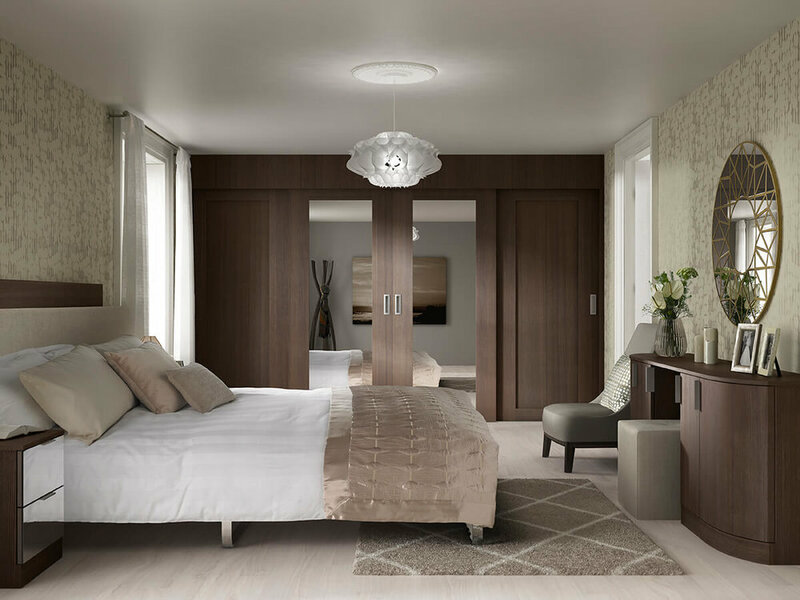 Versatile and accessible, our stunning range of doors will have you choosing sliding over built-in wardrobes even if you don't need to save on space! Taking aluminium frame doors to the next level, a classic design developed to the highest market-leading standard. Our aluminium frame doors come in three door layouts, with shades of wood, pieces of glass, matt or gloss options to chose from, there is a combination for everyone. Finished to compliment the built-in range of furniture, we can now bring you Moda in sliding door. Just like the built-in range, the Moda concept allows you to compliment wood shades with gloss, matt or mirrored finishes, with a framed door you can create our own theme, contrasting the outer with the inner frame or opt for all in one wood finish. This is for the creative minded, with nearly thirty finishes to combine. Split into three pieces, with the 3-panel range you can be as dramatic or as subtle as would want. Go through the colour swatch to make your prefect theme. Try the slim middle panel option for the ultimate in contemporary styling. Bringing all the luxury and finesse of painted doors to our sliding range, Milton sliding doors heavy, sturdy yet effortless to slide, with quite simply breathe taking soft close system, certainly one of our premium doors.